Two movies have opened recently that take place in the recent past (the 1980’s to be more precise). Each felt pastelled over with a patina of nostalgia, a painful desire for a sweet past. But the two couldn’t be more different in their approaches. Everybody Wants Some!! (with two, count ‘em, two exclamation points) is the most recent effort from writer/director Richard Linklater. Like his previous effort, Boyhood, it doesn’t use a hero’s journey or character arc, nor does it use a plot in which a central character must overcome an obstacle or gain a goal, as the basic structure. 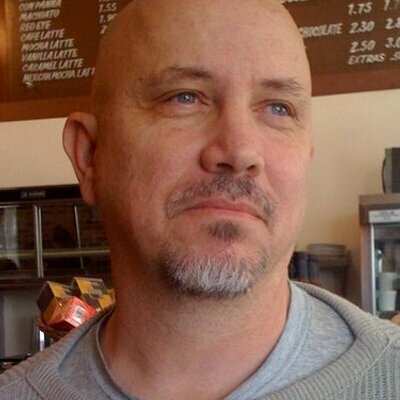 No, rather, like such films as Amarcord and Cleo from 5 to 7, it uses a passage of time to hold its story together. The basic premise revolves around one Jake (relative new-comer Blake Jenner), who is starting his freshman year at a Houston college. He’s been recruited as a pitcher for the school’s baseball team and on his first day, he moves into the house he’ll be sharing with his teammates. It’s four days before start of school, something that the filmmaker constantly reminds us of by showing a countdown every once in a while. These four days become an almost idealized time for Jake. During this period, he achieves what most people take years to accomplish. He traverses with the greatest of ease between the various social groups (disco, cowboy, punk and the arts). He parties, parties, and parties some more. He beats his alpha male housemate in table tennis; goes swimming in the local watering hole; sings along with a song from the radio in perfect pitch and harmony with the others in a car while driving around checking out the female students; defends the honor of one of his mates in a fight; watches a soap; teaches his mates how to survive at the video game Space Invaders (is there nothing this guy can’t do); plays some ball; and gets laid his very first night—not necessarily in that order. But he also meets, woos and wins the girls of his dreams. It took God six days before he rested. Jake beat him by two. Everybody Wants Some!! is an extremely well made film. It’s well written and acted; has a very authentic feel for the time period; has standout period costumes and sets; and photography that feels as if it’s mimicking those 1980’s films one saw at the drive-in. However, the problem might be just how well made it is. It’s so expertly planned and produced, it comes dangerously close to making you forget just how rose-colored this view of the period is. In fact, one might dare to suggest it’s almost two perfect. Take note: here we have a baseball team with a single black character, but there’s no racism to be seen. They go to an arts party where they see a man dressed as a woman and rather than react in a haze of homophobia, they just seem mildly, even cutely, confused. They consider themselves to be the top dogs and BMOCs on campus, but there is no remote hint of bullying. And there’s no apparent sexual harassment; in fact, all the coeds seem to vie for the honor of bedding a baseball player. And that’s just the beginning. When they go to a disco, they dress and dance as well as John Travolta in Saturday Night Fever. When they go to a country western barn, they dress and dance as well as John Travolta in Urban Cowboy (and arrive in time to kick step it to that epitome of CW dance numbers, Cotton-Eyed Joe). When they go to a punk bar, they dress and dance as well as…well, John Travolta if he had ever made a movie about that musical movement. But somewhere about halfway through this “typical” look at college salad days, I suddenly had a thought. There’s nowhere really for most of these people to go. This is probably going to be the highlight of their lives. It will never get any better for most of them than this. In the final scene, Jake attends his first class and falls asleep as it starts, but with a smile on his face. A smile of supreme satisfaction at everything that had happened over the last few days. And at that point, all I could think was, how sad. How incredibly sad. On the other hand, the new coming of age film Sing Street from John Carney (he also gave us the incredible Once and the very enjoyable Begin Again), serves up its nostalgia with more than a dose of bitter spice. 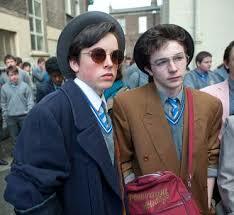 The story, also taking place in the 1980’s, revolves around Cosmo (Ferdia Walsh-Peelo), who, due to economic issues in Dublin at the time (the Irish were fleeing en masse to London looking for work), is transferred by his quarreling parents from a posh high school to a Catholic one that has, as its students, those of a more working class background. But unlike the hero of Everybody Wants Some! !, in his travels, Cosmo encounters racism, homophobia and tons and tons of bullying, not just from his fellow students, but from the fascistic Brother Baxter who rules the school with an iron collar. He has only one escape. In The Dead Poets Society, the teacher played by Robin Williams tells his students that the great poets wrote for one purpose only: to woo women. Of course, I never could quite figure out how Emily Dickinson and Allen Ginsberg fit in there, but still, I think he had a point. So one day Cosmo sees a girl a year older than him standing wistfully on the front stoop of her home smoking. He goes to her and asks her to be in a video his band is making. She agrees. But therein lies the problem: he now has to actually form a band. And so thusly is born a new rock group soon dubbed Sing Street (after Synge Street, the avenue their school is situated on) that plays music Cosmo describes as futurist. Surprisingly to the audience, but apparently not to anyone on screen, this motely group of musicians are not just talented in the art of playing instruments and singing, they are more than talented in the art of composing songs. And so thusly is now born a new artist. Sing Street is a wonderful film, simply wonderful. Truly wonderful. Even transcendentally wonderful. Did I fail to mention how wonderful it is? Well, if I did, let me say it again. Sing Street is not just wonderful, it is also wondrous. 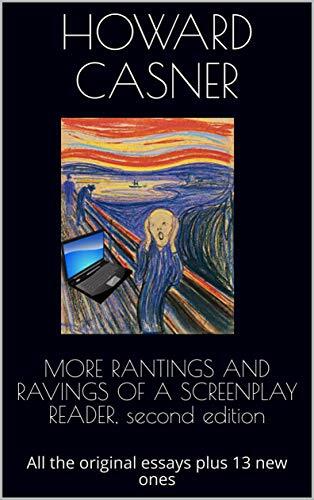 And Carey does something that Linklater doesn’t do. As Cosmo creates his art; stands up against the forces against him, both domestic and scholastic; rebels against his family and school; and makes the decision to rise above all the slings and arrows life is throwing at him by owning it and making it work for him, he comes to see life in a different way. And while the world of Jake grows smaller and smaller, the world of Cosmo grows larger and larger. 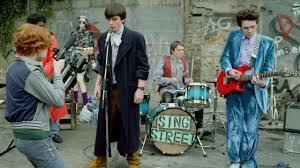 Sing Street also has excellent production values, from the sets and period costumes; the hair and make up (Cosmo and his group start dressing more and more outrageous as the story goes on); to the kitchen sink cinematography. Here, Carney idealizes the past by making it as realistic as he can. Even the videos the band shoots, as clever as they are, revel in the general cheesiness of the state of the art on MTV at the time. But the movie really comes alive during the musical numbers. If anything, where the movie might be playing things a bit fast and loose is that the band and their songs are remarkably impressive, extremely mature and confident for such a young and callow fellow. Still, who cares? Let the characters have that. The film is too thrilling to be parsed in such a stingy manner. With Mary Doyle Kennedy and hyper Aiden Gillen as Cosmo’s bickering rents; Jack Reynor as Cosmo’s long haired brother who becomes his Obi-Wan; Lucy Boynton as the girl Cosmo creates the band for; Don Wycherly as the tyrannical Brother Baxter; Ben Carolan as the band’s manager; and Mark Mckenna, looking like the love child of Paul McCartney and John Lennon, as, well, as Cosmo’s Paul McCartney or John Lennon—take your pick.